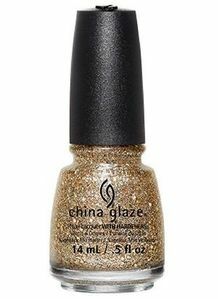 China Glaze Nail Polish, Bring On The Bubbly, 1435, .50 fl. oz. 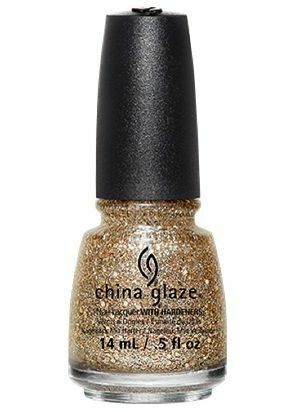 Gold hex glitter mixed with holographic glitter in a clear base.